Negative energies can build up in the home. No one suspects that this is the reason for damaging emotions and incidents that take place. So what are negative energies? They are unpleasant energies that build up over a period of time, sometimes for hundreds of years or longer. The main cause for negativity is undesirable human emotions and actions. These include anger, jealousy, and violence, among others. Objects can also have emotions attached to them. 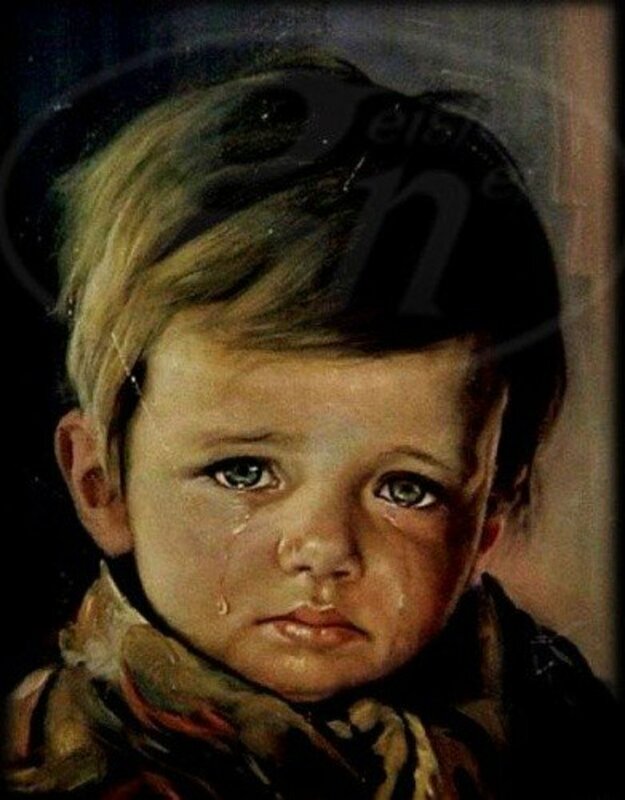 For example, the emotions that attach to an object that a person owned for a long time. A family heirloom or antique could hold much more complex emotions since it has been used for much longer and by various people. It is also possible that some objects may even be haunted, in that the essence of a person in the form of residual energy has latched on to the object. There have also been accounts of the actual spirit of a person attaching to an object such as a bed or chair. This doesn’t necessarily mean that the energy in the above cases would be negative – often it is harmless. However, at the other extreme, there can be a build up of energy that is extremely negative. This can cause all kinds of physical and mental health problems for the people living in the vicinity. It might only be one room that's affected, or the entire home. In rare cases, negative energy could also be caused by spiritual presences. Where Do Negative Energies Come From? Any form of self-defeating emotion or thought such as pessimism, anger, or jealousy, can build up in the atmosphere. As with humans, any emotion that is not positive can linger and build up in the atmosphere of a room or house. They are found all around us in the environment. When high levels are present, this can cause people to become depressed and anxious. Many of our modern gadgets (such as cell phones, microwaves and computers, among others) can create negative energy. Antiques or second-hand objects in particular can hold the energies of the people they belonged to. This is also the case with handmade objects such as works of art, crafts, and so on. If the creators or previous owners had emotional or mental health problems, these negative energies could be attached to the objects. No matter where the negative energy comes from, the same basic techniques can be used to cleanse the atmosphere and make it a healthier and more refreshing area to live in. Negative energy that is paranormal doesn't have to be an actual spirit. There could be residual energy— or a playback— from events that happened many years before, leaving a stain on the environment of a room or house. In some locations, there might be a spirit presence. 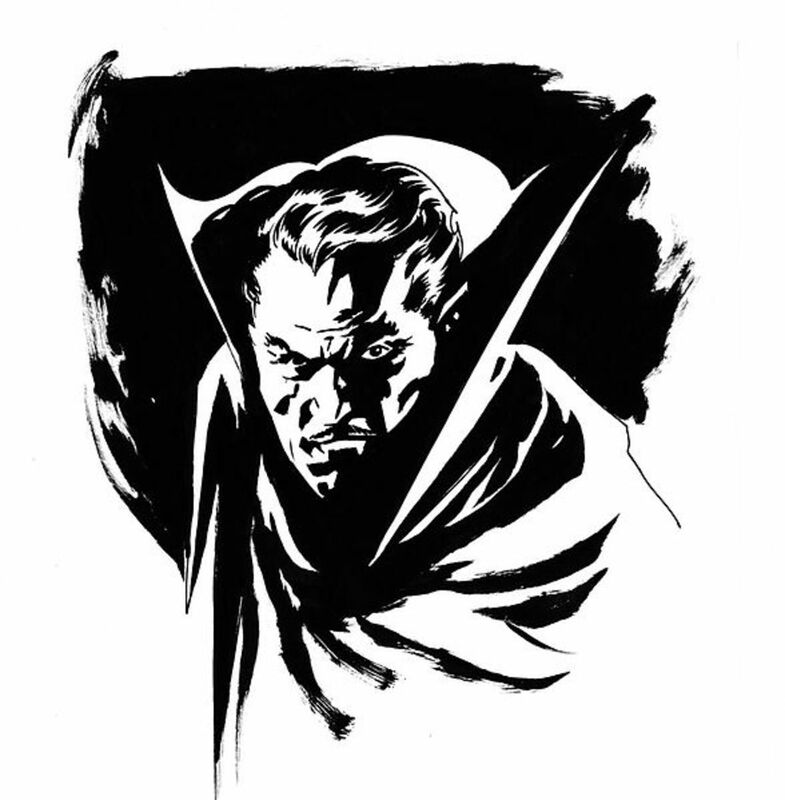 This doesn't necessarily mean evil. Sometimes, you will find a trapped/earthbound spirit who is depressed or scared and these negative emotions will leave their mark. Bad odours of unknown origin that manifest spontaneously and disappear quickly. Strong feelings of oppression and being constantly watched. Other people, independently of one another, also feel this oppressive sensation. Experiencing powerful negative emotions and images that you don't usually suffer from. Disturbed sleep due to noises, movement of objects, smells, or bad dreams. The room or house feels very heavy and uncomfortable to be in. You may experience nausea, headaches, or other ailments, but on leaving the location, you immediately feel better. There are other manifestations that occur, but those listed above are the most common. However, as with anything paranormal, you must find out if natural causes are to blame for this reaction. The effects of water, pipes, and wind can create effects that seem to be paranormal when in fact they are not. If you think that there is paranormal activity, then I suggest calling in investigators who will be able to advise and support you. Most of the time they can verify if any of the activity is paranormal and will also find out if natural events are the cause. One of the things that often works to get rid of a negative spirit is to tell it to leave. You have to be firm, control your fear, and let it know that it's not welcome. It's interesting how often this has worked for quite a number of people. If you are overwhelmed and feel you need more support, then think about asking for a house blessing from your local spiritual leader. You can do this in addition to calling in paranormal investigators. In addition, you can also carry out the cleansing techniques explained below. What the cleansing is for, for example a new home, a negative imprint, or a haunting. People who have a lot of experience with cleansing will have their own favoured technique so I will give two examples of very simple but effective cleansing methods for people who haven't cleansed before. 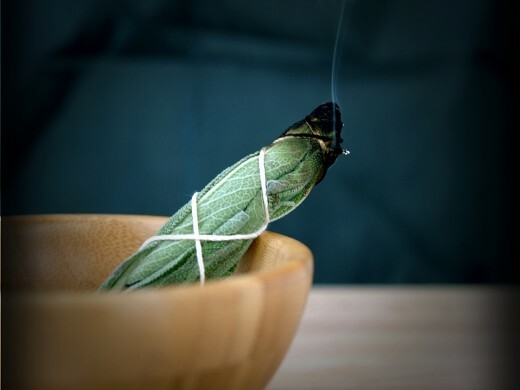 One of the oldest and simplest methods of clearing out negative energy from a room or home is to use sage, or smudging as it's usually called. 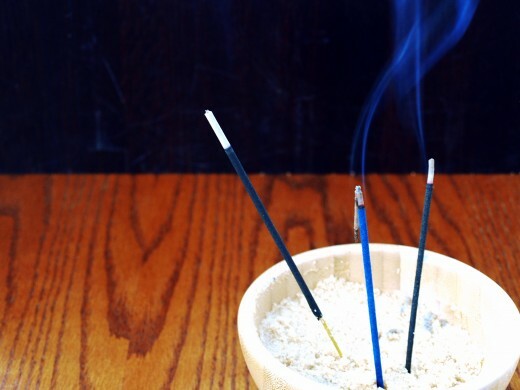 Smoke can be used to cleanse a room, a new home, negative spirits, or anything else that may be making the area where you live uncomfortable. 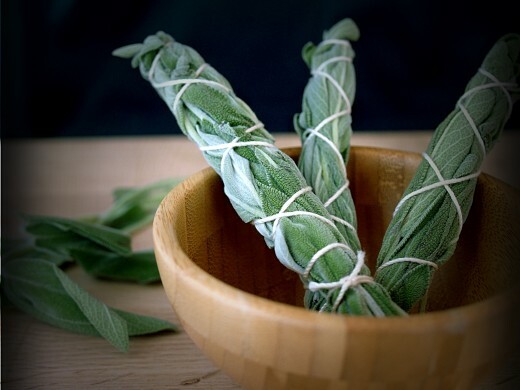 In addition to using the sage, you can incorporate anything you like into the cleansing, such as candles, other incenses, prayers, or whatever you feel you need or would like to add. It's very important to remember that when cleansing, your attitude towards the process is extremely important. Your approach should be positive and calm. This is particularly important when cleansing out negative spirits. Don't allow anger, hatred, or fear to enter your mind. After physically cleaning the room— it's also best to wear fresh, clean clothes— place a bowl of salt in the centre of the room, as this also helps to disperse negative energy. After ensuring all doors and windows are closed, light one end of the sage stick. When you can see it glowing, gently blow out the flame. It should smoulder. Place the smoking sage on a fireproof dish to catch ash and embers—an ashtray is fine, or you can buy specially-made receptacles. I begin at the doorway, cleansing the frame inside as well as the door with the smoke, then working my way around starting from one of the corners. I then make a slow progress around the room in a clockwise direction. Some techniques say anti-clockwise, as this is the direction for banishing, however, I've found clockwise to be just as effective. As you walk around the room, blow or waft the sage smoke not only on the walls, but into the corners, on the floor, and up to the ceiling as well. Basically, aim for a circle. The sacred circle has been used for thousands of years as a powerful protection symbol. Walk slowly and focus on what you are trying to achieve. It's important to remember that the cleansing doesn't just come from the sage: you are mentally cleansing the area as well, so concentrate as much as you can without straining or becoming tense. As you are doing this, you can recite any words, prayer, poetry, mantra, or affirmation that you like or that you feel is appropriate. There are thousands of examples online. What's important is that you choose whatever words that feel right for you. As you move around, visualise the dark negative energy being dispersed or pushed out and replaced with white, beautiful light. 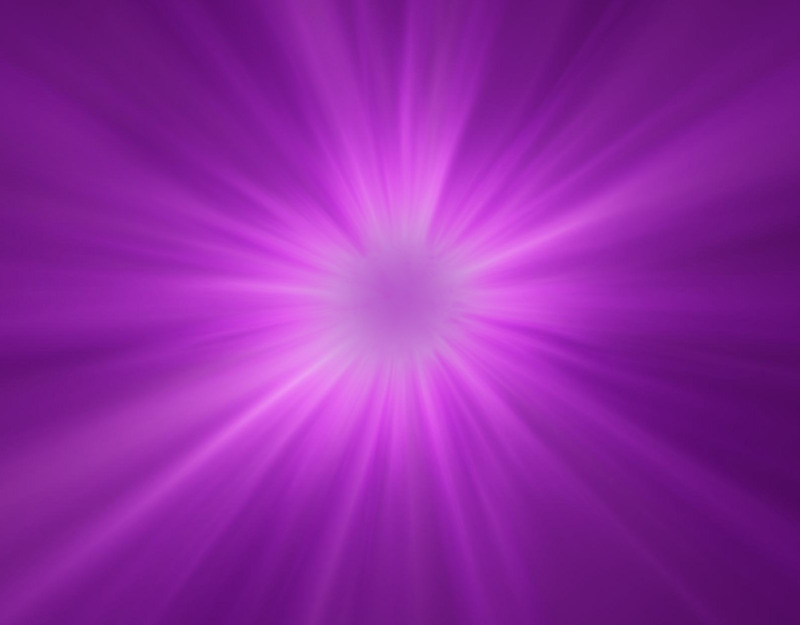 Imagine this white light filling the room and cleansing out anything negative. Some people have a strong ability to visualise and others don't. If your visualisations are not that strong, don't worry about it, keep going with the cleansing— it will work just the same as long as you stay focused. When you have completed your circle, you can end with another prayer/affirmation/poem or repeat the one that you used earlier. Stand in the centre of the room and visualise the white cleansing and purifying light still present and giving protection. To close my cleansing rituals, I always light a candle—usually white— for light, love, and spirit. I also then burn other incenses. I usually choose pine and sandalwood as these are both powerful cleansers of negativity. However, there are many others to choose from and you don't have to actually do anything once you have finished smudging. I just personally like to close the cleansing ritual with a candle and incense. I use this technique if I think a room is particularly heavy or uncomfortable. It is also a good technique to try if you feel there is anything paranormal in the room. I prefer to use consecrated salt or holy water. Both can be bought online. Many people prefer holy water because it's easy to spray but consecrated salt can also be dissolved in a clean and previously unused container and sprayed or sprinkled around the room. Alternatively, the salt grains themselves can be sprinkled around the room and as before ensuring that the corners, floor, and ceiling are included. After cleansing with sage or incense as before, repeat your prayer/affirmation, then go around the room again using the salt or holy water. Once more, visualise a white protective light both cleansing and protecting the area from negative energy. When carried out properly, the psychological and physical effects of cleansing has an immediate affect. You will feel lighter, more positive, and much more relaxed. Carry out this simple ritual once in a while and the benefits to you and your family will be repaid over and over again. Cleansing and purification of an area prior to meditation, prayer, or rituals. Pine is also used to freshen up a room, to attract money, and to break hexes. Cleansing particularly negative spirits. Sandalwood is also used by many as a healing agent and to attract better luck. Burned to give protection against any form of negativity. It is also used to purify an area before meditating, praying, or another ritual. Often used to lift the mood and create positive energy that pushes out negativity. Lavender can also be used for promoting sleep and relaxation. Used mainly for cleansing and purification. Often used when people move into a new home. 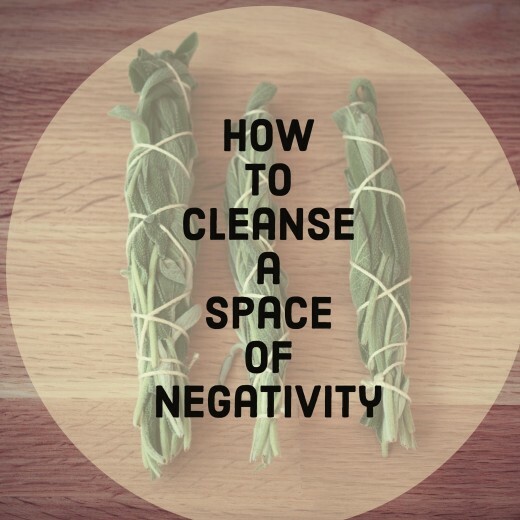 Have you ever carried out a cleansing to get rid of negative energy? Yes and I do so regularly. I've had to do this in the past. No. I've never used a cleansing to get rid of negative energy. Incense stickss, holy water and sacred chants are best way to remove any evil spirt from room. Anyway great article!!! thank you Josephine and glad you enjoyed the hub. Excellent Article!!!!! very Informative!! Clear and concise information. Love it!! Hi MysticMoonlight, apologies for the delay in replying to you - I'm playing catch up with everything right now. Glad that you enjoyed the hub and I've used the cleansing myself from the hub and it does work. Excellent and thorough article! So many great tips here, so glad that I've found this great resource. Hi TedyLindsey, many thanks for stopping by and glad you enjoyed the hub. I found out a number of years ago how to do this from a lady who was a Wiccan and have carried cleansing out ever since, makes a huge difference to the home! Yes that's true. Many times doing something physical does help. Hi creativeaqua, many thanks for stopping by and for the very interesting comment. Yes, I do agree with you, the power of our minds can accomplish anything. I think though, that especially when people are frightened it seems to give them that extra boost of confidence to actually carry out a physical act of cleansing. However, if they do have the ability, as you do, of using positive thoughts, then yes, use this method. I believe one of the best ways we can remove negative energy is by simply thinking positive. Whenever I feel negative vibes, I think of the most beautiful things of my life and feel strong. Hi savvydating, many thanks for stopping by and glad you enjoyed the hub. I agree, I've been in some places - not necessarily old buildings either, and the atmosphere has been awful and needing a good cleansing. Very well organized hub that is easy to read, and informative as well. There is no question in my mind that some places have a buildup of negative energy. I appreciate your information on how to get rid of it. Hi ananceleste, many thanks for stopping by and glad that you enjoyed the hub. Great Hub! Very informative and inclusive. Sharing! Hi Kevin Peter, many thanks for stopping by and glad that you enjoyed the hub. It is very simple and so much benefit to be gained as well! Nice hub on removing the negative energy from a room. The things to be done sounds very simple. I am going to start practicing them from today onwards. Thanks for sharing. Hi MysticMoonlight, many thanks for stopping by and glad that you enjoyed the hub. I agree, the feelings that a cleansing brings is something to really experience and enjoy. I recommended a cleansing to a friend of mine who was suffering from depression after her divorce and she was shocked at how the simple ritual ( I had mentioned like yourself, candles and incense as Connie loves candles) had changed the whole atmosphere of the house and her own feelings. It's wonderful how these simple and beautiful rituals can make such a difference to us and those we care about! Great information and Hub. Thanks for sharing this with us. I also use incense and candle lighting to cleanse and clear my home almost daily. It is just something that I do, it is calming, comforting and brings a more peaceful mood and setting to and within my home. Hi GwennyOh, many thanks for stopping by and glad that you enjoyed the hub. More than that though, I'm glad that you did manage to get the negativity out of your life - it feels like a fresh start when you finally clear all the emotional and human junk out of your life. Well done!! I have found great value in space clearing. It has changed my life considerably. In the past I had some negative people in my life. Now they are long gone but it took time for me to understand that their energies were still with me and had to be removed. I began with cord cutting and grounding, then moved onto space clearing. I feel so much lighter nowadays. Your article provides solid advice... way to go! Hi THEmikeLO, many thanks for stopping by and leaving such a nice comment - glad too that you enjoyed the hub! Very interesting hub! You have helped me gain a much greater on what these negative energies are and were they come from. Thank you this was a wonderful post! Hi Ronna, a very happy new year to you as well and many thanks for stopping by. I'm sorry you've had such a crappy year - no wonder you are both depressed as well as tired out. It's really a vicious circle you and your husband are in through no fault of your own. So it's a case of first things first. Number one, try to accept as positively as you can that this is where your lives are. The reason I'm saying that, and I know it's not easy, is to avoid as much as possible adding to the negative energy already in the house. Second, not including your husband here for a second, is your general health good or is the depression causing you to lose weight, eat a poor diet and so on? In addition to give you both a boost are you on anti-depressants? If you don't like the thought of pills, this need only be a temporary measure until your feelings and mood lift. Review your lifestyle around your physical health first - diet, exercise, interests and so on. This automatically helps to lift your mood and creates better energy around you and in the home. In addition there is an excellent healer who has free guided videos on You Tube. These range from clearing out negative thoughts to helping you to live with what has happened in the past etc. Go to You Tube and in the search box just put in the name Anne Jones and all her guided meditations will come up. I can personally vouch that these videos worked for me when I was going through depression due to personal issues. So give them a go. You don't do anything apart from relax and just follow the instructions that Anne gives you. Both you and your husband can do these together if you wish. This kind of guided meditation helps to clear the area immediately surrounding you of negative energy and also your mind. In addition, it strengthens your mind and increases positive energy that pushes out negativity. These guided meditations often start to work immediately. Just after you do this kind of work then start to do a cleansing on the house. I would recommend one ot two rooms at a time to begin with and start with the places that you and your husband use the most. Lastly, take each day as it comes and don't put too much pressure on yourselves. You and your husband have had a traumatic time and it's understandable that you are both depressed, tired and in need of a boost and some healing. This can take time but often things do improve much quicker than expected. Your basically starting a new phase of your lives and this has obviously not been easy. But once the negativity does start to life - and it will - you will be able to think much more clearly and find more positive things starting to happen. Ronna I hope this has helped a little bit and I wish you and your husband all the very best! Bright Blessings!! Hello just found your website..very interesting...was looking for ways to put some positive energy into my home... 2012 was a very trying year for us as well as many others...Husband was told he has heart issues..lost his ability to do normal job and ended up on disability all in a year...been very very depressed...actually both of us have . We have been through a complete life change with his illness.. Our home is not a very happy place anymore!!! IT is still home but needs a renergizing in a good way..Have never used any of these cleansing techniques before, what do you think is a good way to get this house in good form? Thank You so very much and Happy New Year to All ! Hi Alastar as always, lovely to hear from you!! What an interesing - if sad place - that old house must be? All it probably needs is a good smudging, a nice family and lots of love and laughter in the place and the negative energy wouldn't be long in being dispersed! Even energy as dense as those left behind after a murder - poor woman - can be pushed out and kept out!! I don't blame folks for not wanting to stay there, there must be an awful heaviness and as you say sadness about the place, that I can imagine people getting depressed quite quickly in that kind of atmosphere! Alastar thank you as always for your support - have a great New Year and a very successful 2013!! Ps - it's me with the cobwebs tonight as I've got a bout of flu - great timing for Hogmany!!! Hi Deborah, many thanks for stopping by and for leaving such an interesting comment. Now I've heard of bells, drums and rain sticks but I don't know much about Palo Santo sticks - this sounds very interesting and a combination that must work very well!! Thanks for this information! Hi Alastar - sorry to hear that you been unwell!! Even with the cobwebs my friend your comments are always interesting and worth reading at any time!! Have a great New Year and very successful and prosperous 2013!! Hi Kitty, always lovely to hear from you and glad that you enjoyed the hub! It's amazing how a little smuding can make such a difference to a room or home - I've carried out a cleansing just before Christmas and the energy is lovely and positive for the fesitvities!! Kitty have a lovely New Year and all the very best for 2013!!! Helen there is house a hundred feet off the road that sits by itself near the coast of N.C. About 10 or 12 years ago a man murdered his wife in it. Since then there have been quite a few people or families move in and out very fast. As a matter of fact it sit's empty the last 4 or 5 yrs. A friend who lives near it said they've given up trying to sell or rent it. No apparitions in particular but an overwhelming sense of sadness and negativity emanate that you can pick up from the street. this a very fine article and the cleansing techniques are something I'll remember - you never know lol. Up interesting and most useful my friend, oh, well chosen as recommended hub too! I haven't cleansed my house in a while. Thanks for the timely reminder. Besides sage, we use Palo Santo sticks, as well as a bell to bring in good energy, a drum, and a rain stick. We will add a meditation as well. 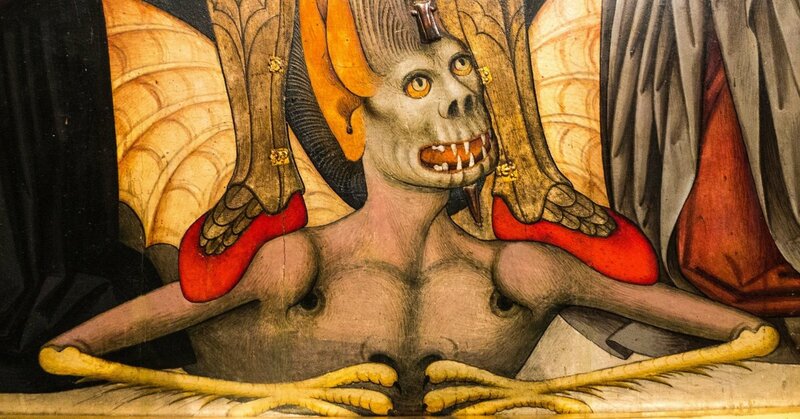 Fro those with negative energies in a room - this piece is all you'd want to known about understanding the implications and rid one of these unwelcome denizens. Forgive me if I feel sluggish this morning but the Dr just pumped me up with a bunch of stuff the morning. Just to check in and soon when can shake the cobwebs will return with a proper comment. Hey Helen, so well deserved for a recommended hub! Sage is my go-to herb for cleansing my house of negative energies/spirits. One day last month, I came home and immediately upon walking into the door I was pissed off. And I couldn't figure out why. Then I realized it had been months since I'd smudged my house or cleansed it. Once I did...BAM. Back to normal, happy home. Awesome article, love the breakdown and info. on the topic. Most people don't realize what kind of energies can build up in a home. Blessings and hope you had a wonderful Yule/Christmas-time, friend. Hi Rasma, - what a fascinating and lovely comment about the 'presences' over Christmas - by the way hope you and your family had a great Christmas!! I honestly feel that when a room is cleansed it does get rid of negativity, but you've made an interesting point in that it also allows the positive and good presences to come through much easier. That must have been such a lovely feeling having those warm spiritual presences with you at Christmas!! Anytime I feel I've been getting niggled by negatives in a big way, I usually do a cleansing but I also ask the Archangels to help as well. I did this a few years ago and have not had any trouble since then. I think the Angels and Archangels are always so reliable when you feel any kind of negativity or threat. Rasma I look forward to reading many more of your hubs in 2013 and bright blessings to you and your loved ones for the coming New Year! Hi Dee aka Nonna - lovely to hear from you and glad that you enjoyed the hub - a room does have such a light feel afterwards when it has been cleansed and I think sage is definitely one of the best. I think the smell of the incenses are also very nice and better than most synthetic air freshners that are on the market! Hi Cyndi10 - many thanks for stopping by and glad that you enjoyed the hub. Yes, I have heard about clapping but to be honest I don't know much about this technique, but from what I have heard it can be very effective. I have heard of using bells, gongs and even wind chimes both to summon spirits and to get rid of negative energy. A workmate of mine from many years back used to play music cd's with bells on it and she swore it worked wonders, so it must indeed have something very potent within the sounds. Voted up and interesting. Thank you for sharing this wonderful and fascinating hub. We have previously cleansed our rooms and lately things have been peaceful. The presences I've felt this Christmas have been most welcome as I know our nearest and dearest are with us. Hope you have a wonderful 2013 and may all your wishes and dreams come true. Passing this on. This brought back memories and gave me new insight. I've used sage in the past to clease a roon of negative energy.... I love the way you presented it and will used the method you described in the future. Great hub.....thanks for sharing. 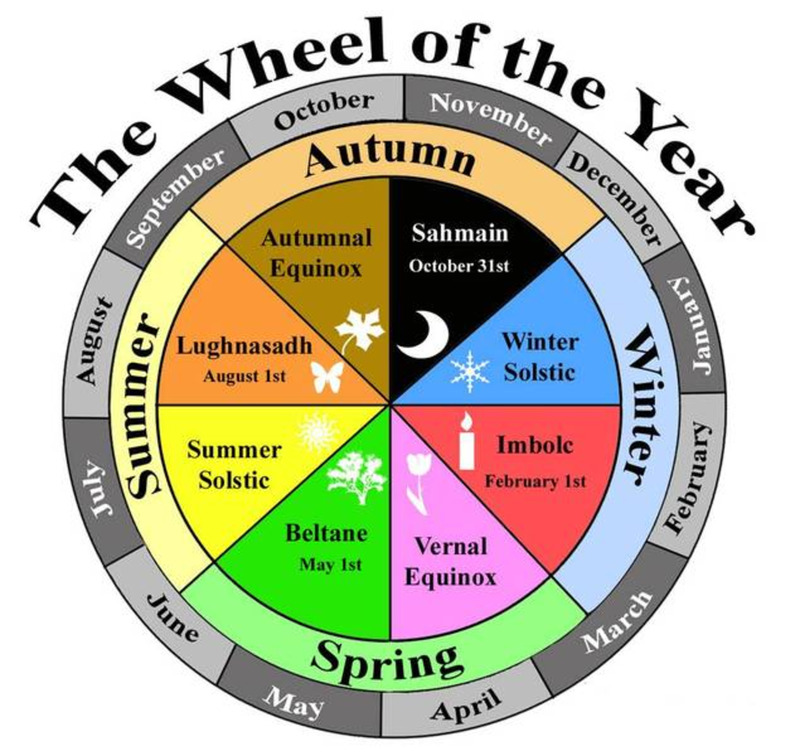 Great information about cleansing your home of negative energy. I understand sound, such as clapping or ringing a bell or gong can also be an effective cleansing technique. Using your suggestions can be a good way to start the new year. Hi Rosemay - always lovely to hear from you and for leaving such an interesting comment. I have heard many people saying how different their home feels after either cleansing or when it has received a blessing from a priest. Most people feel that in addition to the activity stopping, it's like an oppressive, heaviness that has left the home. 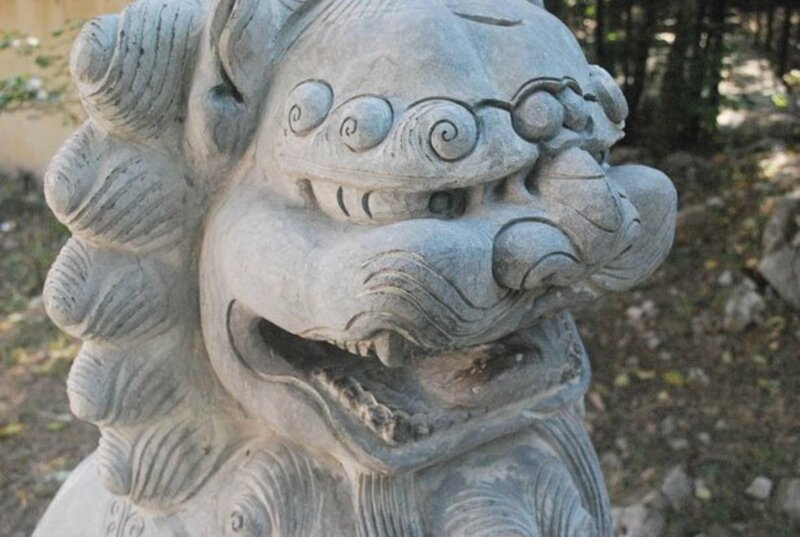 And yes, negative spirits in particular feed off fear in particular so when we carry out a cleansing with strong positive thoughts, it does put up a strong barrier to push them back where they belong. Rosemay I also hope that you and your family have a lovely Christmas and New Year. I look forward to reading much more of your own work in 2013!! Hi again vocalcoach and glad that you enjoyed the hub!! I love the smell of sage even if I'm not using it to cleanse particularly, it leaves a nice aroma about the house! I haven't done this myself but called in a priest to cleanse a house for me and I was quite surprised of how much different the house felt afterwards and the paranormal activity stopped immediately. I thank you for this hub and the informative instructions, I will now be able to do this for myself. Thank you for writing about removing negative energy. I used sage years ago to cleanse my home with and then forgot about it. This is timely for me. An excellent and well written hub that I will share. Big votes up! Hi Tom, many thanks for stopping by and glad that you enjoyed the hub! Wishing you and your loved ones a smashing Christmas and a great New Year! Hi Graham, there's nothing wrong with logical or sceptical thinking - it keeps the rest of us in check!! I have to say that I have every respect for the sceptical point of view. When you experience the paranormal and then try to explain to people it usually does sound so unbelievable that it doesn't surprise me that people are sceptical. If it wasn't for my own experiences - logically thought about and researched using skills picked up in nursing - then I would perhaps be sceptical as well. In addition, I have heard first hand so many incredible accounts from patients, families and people I know who are legit - it's impossible not to believe them, even although some of the events they experienced are 'gub smacking'!! As always Graham, many thanks for your visit it's always a pleasure!! Hi rmcleve, many thanks for stopping by and glad that you enjoyed the hub. That is very interesting about writing a hub on house clearing with sage as I had briefly thought about doing that. I have to say that I used sea salt once when I didn't have my usual supply and I was very impressed with this. I now keep a small stock of this in the house just in case I need it. 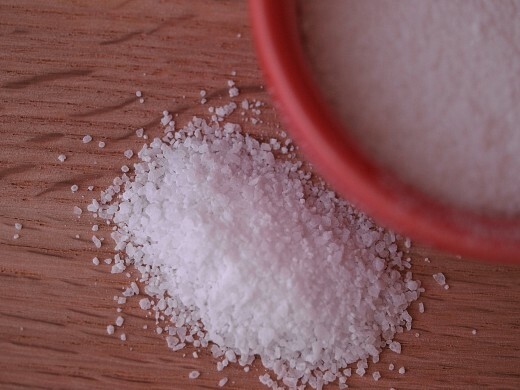 Sea salt does seem to be very popular, so I should probably mention that in the hub! Hi Perspycacious - many thanks for the information this will be very helpful to many readers. Great hub with some very interesting and useful information. Hi Helen. A brilliant hub, So informative, structured and pictured. I am a sceptical and logical thinker. This however gives me food for thought. Excellent resource! You should write a hub specifically on using sage to cleanse a house, if you haven't already. I often use sage or sea salt with positive affirmations and cleansing thoughts. Very useful! Just for folks information: Essential Oils of the referenced Pine, Sandalwood, Sage, Lavender, and Frankincense can usually be purchased for these respective prices: Pine: $4.49/fluid ounce, Sage: $8.99/fluid oz., Sandalwood (14%): $14.99/fluid ounce, Lavender: $7.49/fluid oz., and Frankincense: $18.74/fluid oz.